Sports activations have been a part of SXSW for a while, with brands like Gatorade, Fitbit, and Nike making strong showings in recent years. But 2018 was the first year for sports to have its own dedicated track on the SXSW schedule. There was some amazing sports-centric content at this year’s event, focusing on fan engagement, data analytics, social activism, and much more. With about 40 events in the sports track, there was way too much information to summarize in one little blog post. But we did gather up a few of the most noteworthy sessions to share with you below. As you’ll see, the state of fan engagement was front and center at SXSW 2018. This hour-long panel featured Tim Clark, Managing Director at NASCAR Digital Media and Dan Hogan, GM Digital Media at the NFL; along with Rajan Mehta and Renee Young from the WWE. The discussion focused on the evolving landscape of technology in the realm of fan engagement – with a focus on emerging trends and developments that are likely to occur in the near future. Business Beyond the Ball was a panel discussion that examined the business of sports. From the front office to the logistics of moving teams to and from remote venues – there is an entire industry of professionals at work producing all the major sporting events that we love to watch. Asani Swann, Managing Partner at Sage Business Group was joined by Larry Miller, President of the Jordan brand at Nike and Estee Portnoy, VP of Jump.DC. The trio talked at length about career opportunities in the world of sports – for people who aren’t lucky enough to be playing out on the field. Drawing on their own personal experiences, they provided a glimpse into the huge world of sports-related business that takes place behind office doors. Ross Allen, North American Director for Britain’s Department for International Trade; Alicia Tillman, CMO at SAP; Tom Glick, CCO at City Football Group; and Stephen Spark, Performance Director for British Cycling gathered for an in-depth review of the many new and exciting ways that data is improving the management and business of sports. Where statistics and data used to be key to managing on-field performance only; sports businesses today are embracing performance data to analyze and improve their entire operations from the front office to the ticket booth. An expert panel from across the worlds of sports and technology spent an hour discussing the developing idea of mixed reality in sports fan engagement. The panel featured David Feldman, the NFL’s Sr. Director of Social Content; Ashley Crowder, Co-Founder of the augmented reality company VNTANA; Jay Kapoor, Venture Captital Investor at Madison Square Garden; and Jonathan Lowe, Sr. VP of Business Development for the Los Angeles Kings. The group probed the growing use of technology to provide improved fan engagement and to augment data collection for teams, venues, and partners. The last panel in our list created a uniquely international environment at this year’s SXSW. The BBC’s Caroline Barker was joined by Peter Heneghan, Head of Communications for the world’s largest publisher of social content for millennial audiences – LADbible Group. Andrew Diggle, Head of Content for the Manchester United Football Club and Andy Burnham, Mayor of Greater Manchester rounded out the all U.K. panel. One of the most popular events from the new SXSW sports track, this timely discussion focused on the ways that data is enabling teams and venues to provide content to their fan bases 24/7/365, around the globe. The group discussed emerging content strategies that enable data-driven fan engagement from live video streams to signature VR content; along with strategies for data-driven marketing outreach to expand regional and distributed audiences. Is Your Brand Ready for Data-Drive Fan Engagement? 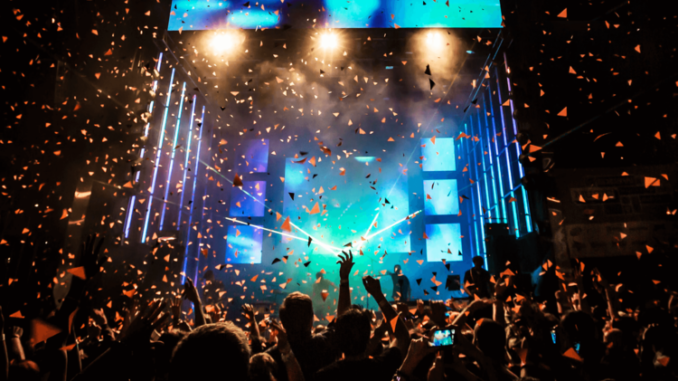 We were very excited to see the topic of data-driven fan engagement getting some much-deserved attention at this year’s SXSW event. We’ve been focused on this field since its inception, and there’s never been a more exciting time to be involved in the fields of sports marketing and fan engagement. The mobile brand activation assets that TGSM has developed allow any brand, venue, or sponsor to instantly adopt advanced digital fan engagement strategies; and to open up lucrative opportunities for data collection. Our assets are designed to attract and retain the most valuable demographics at any sporting event. We attract millennials with a free high-speed wireless data network, a brandable mobile app, and some of the most innovative “video games” ever imagined. We attract and retain women and families by providing luxurious, climate-controlled, full-service restrooms on tailgating lots where traditional “porta-potties” are expected. Throughout their experience with our fan engagement assets, your fans have the opportunity to opt-in for a multitude of notifications, games, and other services that will quickly expand your brand’s most valuable asset – your data. Give us a call today at (888) 995-2285 to learn more.